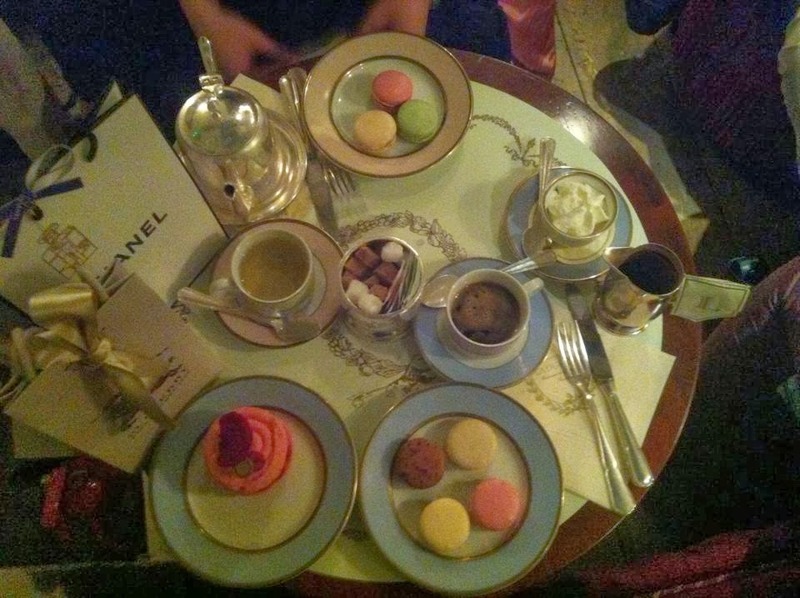 Burberry manicure, Chanel shopping and Ladurée "goûter"
How do you spend a lovely and funny girly saturday ? ! I have been really busy these days : a tiring job to pay the rent, administrative tasks, fashion, beauty, lifestyle researches, I am also still looking for for my dream fashion, luxury job and I also improved my Facebook page and Twitter account, I am always checking the news ! Finally, it was time to have fun ! 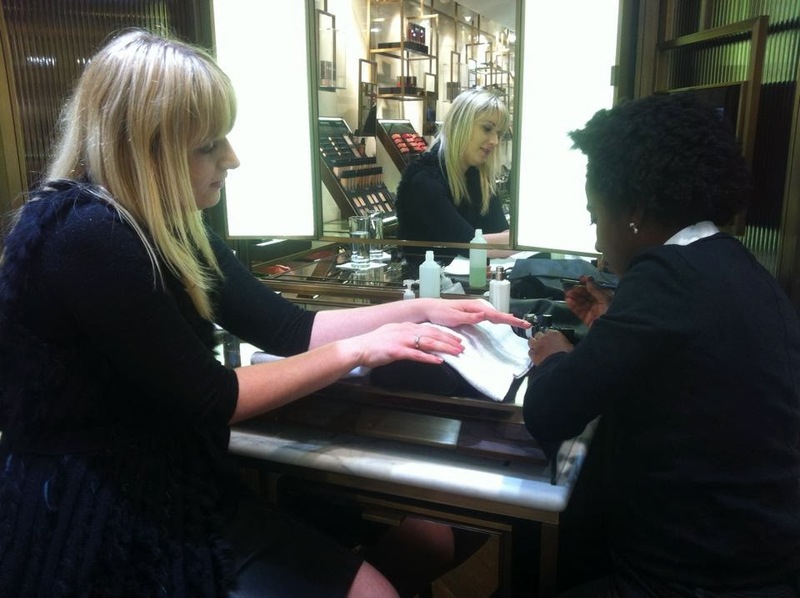 Manicure at Burberry Coven Garden. 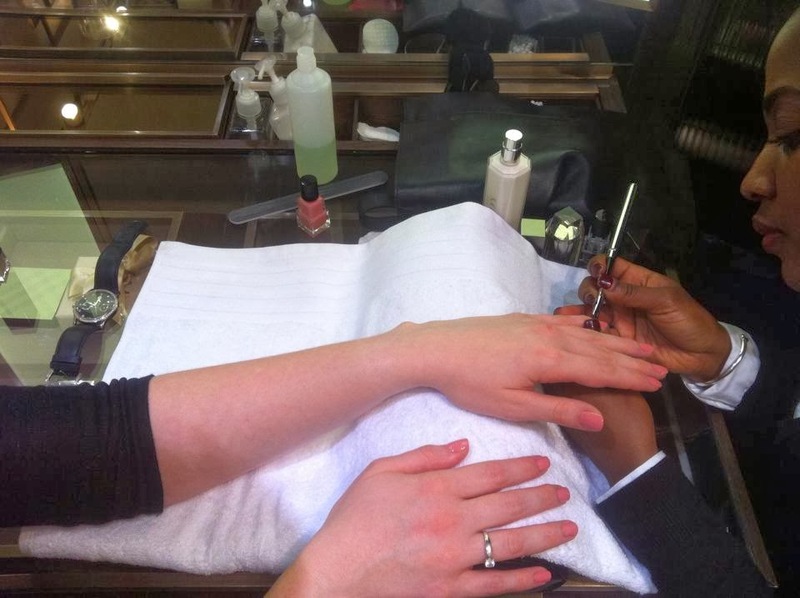 My friend and I booked a manicure at Burberry last weekend, we needed a girly program and to take care of us! First of all, you need to call the customer service, generally they know you can book an appointment for that service but it's not always the case. We were happy and enjoyed our afternoon. Burberry body cream smells very good and is great for the skin. The manicure was not perfect but remained cute thanks to the pink nail polish colour, a chic pink we saw on the last Burberry summer collection. Sales assistant were professionals and friendly too. 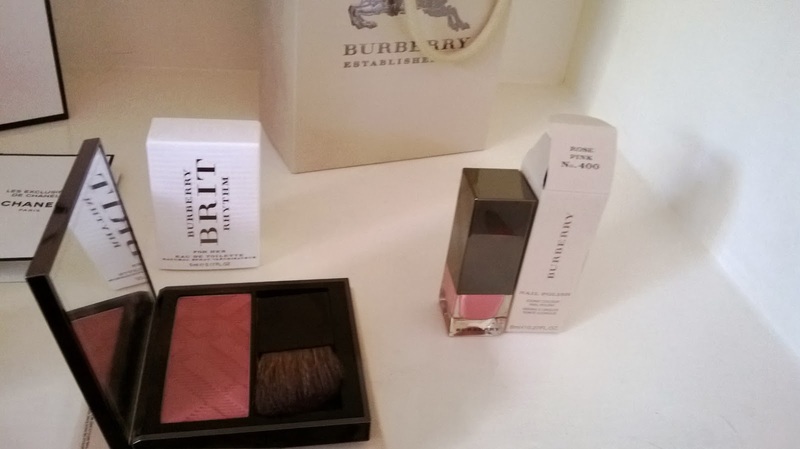 I bought the lovely nail polish and the pink blush matching. 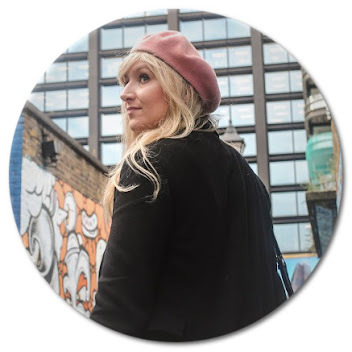 With my blond hair (highlights by L'Oréal, the best brand for blond made by Louise at Rush Putney) and my new French Connection coat, the result is great! I deeply like Burberry but I think even if the colours of spring, summer are fantastic and very chic , Burberry is better for clothes. Nevertheless, it is definitely the perfect destination to relax with your friends in the weekend. Moreover, it is only 15 £ the manicure ( cheaper than Chanel, check my Chanel manicure article ) and then you can buy something in the shop with 15 £ reduction ! Amazing ! Moreover, you can also check the pretty pink scarfes and clutches matching ! 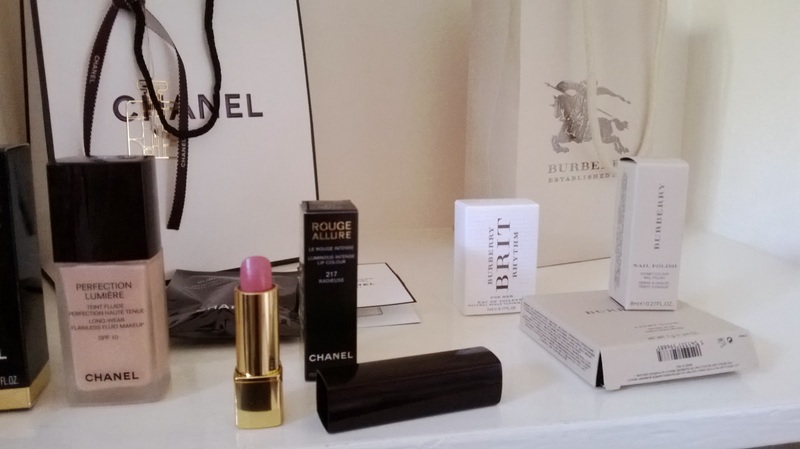 Shopping and beauty advices at Chanel : I fund another pink lipstick matching with my new nail polish. Chanel Coven Garden is full but very nice and assistant are very professional. Charlotte knows exactly what I meant, what I needed, thats why I always prefer Chanel : quality products and quality customer service. Indeed, I like my Bare minerals powder fondation but the effect on me is quite strange. Bare minerals did not look so natural so I asked to come back to Chanel foundation like ...I used to take before. Check my last top 10 beauty list ! Tone is exactly like my skin and the feeling is perfect ! Fantastic effect, not covering a lot but very comfortable, maybe I will come back at Chanel to buy a powder matching. Lovely packaging inside our bags and some little gift inside, we were happy ! Avene and Bioderma shopping : best products ever ! After great make-up, you need to take care of your skin. Delivering at home, I finally had my best french beauty products thanks to escentual.com ! 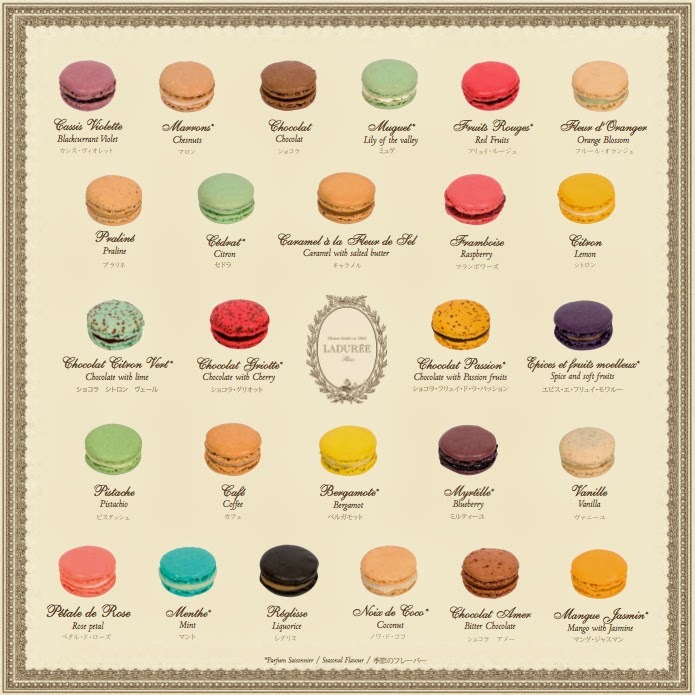 Ladurée goûter : Rose, fleur d'oranger, pistache..."gourmandises "! Should I really present La Durée ? Just be aware that you can wait especially on a saturday in Covent Garden, its the queue ! And you ? What is your last girly saturday ? Don't be afraid to take care of you girls !